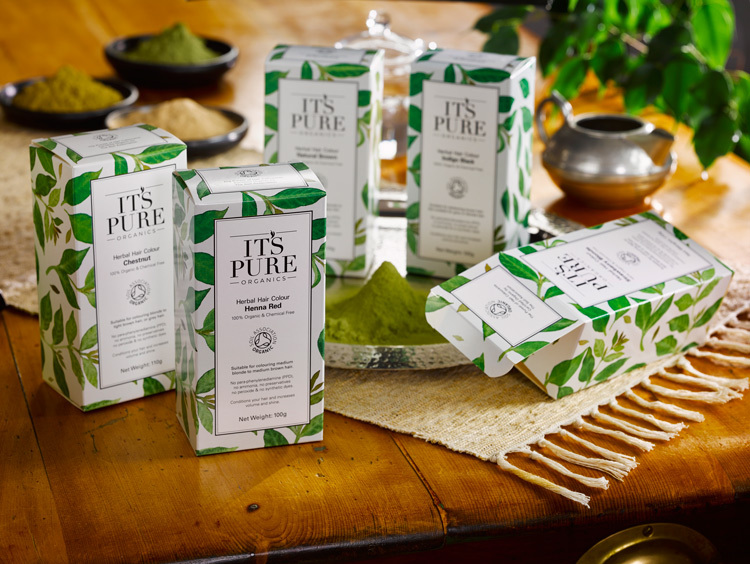 These amazingly pure certified organic hair dyes give your hair vibrant colour and wonderful shine and volume. They are available in 9 shades from Golden Blonde to Indigo Black. 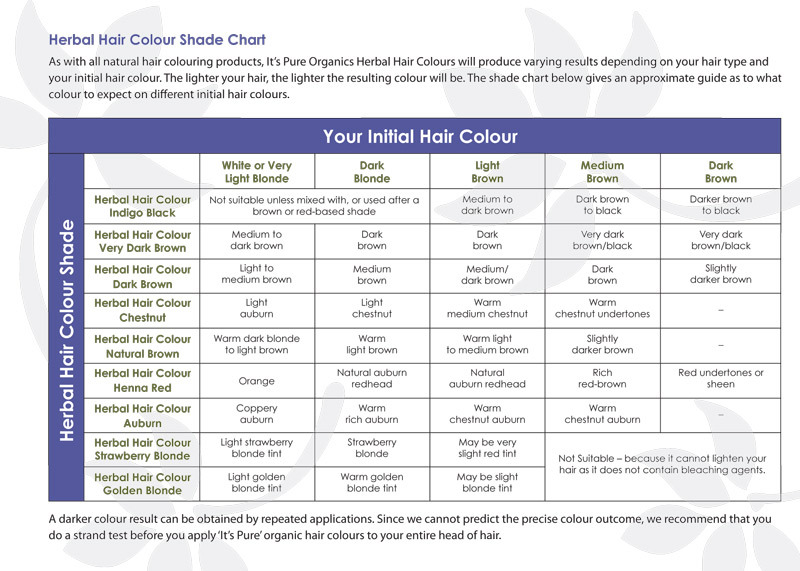 All the It's Pure Organics hair colours are truly organic and pure, with no chemicals and no non-organic ingredients at all. To prove it we have the Soil Association seal of approval, with their symbol on all the products.